Global Infrastructure Need Driven by Power Investments, with Emerging Markets to Dominate Growth. Through 2030, McKinsey Global Institute estimates that $49 trillion of projected infrastructure investment is needed globally, of which nearly 18% ($8.6 trillion) will be in non-OECD (developing economy) power investments, driven by a fundamental need for new power generation. Developing economies have already surpassed OECD countries in power generation and are expected to be the center of growth in the industry. Denham partners with experienced management teams to bring affordable renewable and gas-fired electricity generation to these economies, under well-structured long-dated power purchase agreements. The Denham International Power Fund is committed to investing in power generation projects in emerging markets and other target markets with a primary focus on clean and affordable power. Denham recognizes the importance of good Environmental, Social and Governance (ESG) processes and practices and is implementing management systems that effectively address environmental and social risks and realize opportunities. We have adopted a number of standards, including the IFC Performance Standards. Our Responsible Investment Policy can be found here. Our Impact Report can be found here. ESG Case Studies can be found here. We believe in fostering communication with our stakeholders, including members of the public. To submit comments, questions, concerns, grievances and feedback in relation to the conduct of Denham and our portfolio companies, please contact the ESG team. At Denham, we seek to capitalize on these opportunities by focusing on investments in solar, wind, hydro and gas-fired generation. Rio Energy is a Brazilian renewable power platform with 484MW of wind projects in operation or construction, and 1,000MW+ of project pipeline opportunities. Endeavor Energy is an Africa-focused independent power generation company, focused on thermal and hydro opportunities across the continent. Endeavor has a 200MW project in construction, which was named “African Power Deal of the Year” at the Project Finance International’s and IJ Global’s 2016 awards. In early 2018, Endeavor expects to break ground on a further 420MW gas-fired project in Ghana and 50MW thermal project in Guinea, and has an additional pipeline of 1.0GW of project opportunities throughout Sub-Saharan Africa. Nexif Energy is a Southeast Asia-focused power platform company that develops and opportunistically acquires thermal and renewable power generation assets. Nexif currently owns a controlling stake in a 30MW operating hydro project in Vietnam and recently broke ground on 126MW wind project in Australia. In 2018, Nexif expects to break ground on a further 86MW wind project in Australia and 100MW gas-fired project in Thailand and has an additional pipeline of 1.5GW+ of project opportunities throughout Southeast Asia. Jenner Renewables is a Latin America focused renewable power platform. Jenner is led by a management team with comprehensive development, construction and execution experience with deep local relationships. Jenner has a 146MW portfolio of solar projects in construction in Chile and a 1,500MW+ pipeline across Latin America. Themis is an Africa-focused independent power generation company focused on renewable and gas-fired power projects. The team, headquartered on the continent, has a proven track record in Africa and extensive execution capabilities, including a 2,000 MW project pipeline. 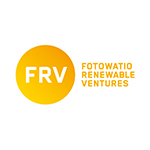 Fotowatio Renewable Venture (“FRV”) is a leading global solar development company focused on emerging solar markets. Over the course of Denham’s investment, FRV brought 159MW into construction or operations, secured 150MW of PPAs and developed a 3.4GW pipeline across Latin America, the Middle East, Africa and Australia. FRV’s 70MW Moree project in Australia was named “APAC Solar Deal of the Year” at IJ Global’s 2014 awards. Denham exited its investment in FRV in 2015. BioTherm Energy is an African renewable power developer largely focused on South African wind and solar projects. BioTherm has a 437MW portfolio of wind and solar projects in operation, construction or with PPAs secured, and a ~1,500MW project pipeline. GNPower successfully developed and constructed the 600MW Mariveles thermal-power plant on Luzon Island in the Philippines. The award winning (“Asia-Pacific Deal of the Year” at Project Finance International’s 2010 awards) project featured negotiated fixed price EPC contract, US dollar-linked take-or-pay PPAs, fuel cost as a pass-through and was a low cost energy generator. Denham exited this investment in 2014. SunRay Renewable Energy focused on solar power development across Europe and the Mediterranean. SunRay’s 24MW Montalto di Castro project financing was named “European Solar Deal of the Year” at Project Finance International’s 2010 awards. Denham exited its investment in SunRay in 2010. Stuart Porter is a Founder, Managing Partner and serves as the firm’s Chief Executive Officer and Chief Investment Officer. Stuart brings over 29 years of senior investment experience to Denham. Stuart serves on the Management Committee, Fund Investment Committee and Valuation Committee. Prior to founding Denham, Stuart was a founding partner of Sowood Capital Management LP and, prior thereto, was employed as a Vice President and Portfolio Manager at Harvard Management Company, Inc. where he focused on public and private transactions in the energy and commodities sectors. Stuart previously worked for Bacon Investments and at J. Aron, a division of Goldman Sachs. While at J. Aron, he worked on the Goldman Sachs Commodity Index desk. Prior to joining J. Aron, Stuart was a self-employed trader at the Chicago Board of Trade and was employed by Cargill Incorporated in Minnetonka, Minnesota in the Financial Markets Division. Stuart volunteers his time by serving on the Board of Directors of the Massachusetts Society for the Prevention of Cruelty to Children, a charitable organization, and also serves as a Trustee of St. Sebastian’s School in Needham, MA. Stuart received a Bachelor of Arts from the University of Michigan and a Master of Business Administration degree from the University of Chicago Booth School of Business. Scott Mackin is a Managing Partner and heads the firm’s Power Deal Team. He brings over 30 years of energy experience to Denham and is a member of the Management Committee, Fund Investment Committee and Valuation Committee. Prior to joining Denham, Scott was CEO of Covanta Energy Corporation, President of Ogden Energy, and General Counsel at Ogden Projects. He also was an Associate at Schnader, Harrison, Segal & Lewis and served as a Law Clerk to the Hon. Daniel H. Huyett III, Federal District Court for the Eastern District of Pennsylvania. He is Co-Chairman of the Emerging Markets Private Equity Association (EMPEA) Energy and Infrastructure Council and a frequent speaker at the London Business School. Scott currently serves as a member of the Board of Directors of Endeavor Energy, BioTherm Energy, Rio Energy, and Nexif Energy. He received a Bachelor of Arts, Honors Program, from Villanova University and a Juris Doctor from the University of Michigan Law School. He is an Emeritus Member, Villanova University College of Arts and Sciences Advisory Committee and served on the Committee of Visitors for the University of Michigan Law School. Justin DeAngelis is a Partner in the International Power Fund of Denham Capital. Justin is responsible for origination, analysis, structuring, valuation and execution of investments for the Power Deal Team. He brings 20 years of experience to the firm. Prior to joining Denham, Justin was a Director at Waypoint Energy and worked as a Manager at Pace Global Energy and PG&E National Energy Group, after serving as an Engineer at Delmarva Power. He is currently a member of the Board of Directors of Endeavor Energy, Themis Energy, Greenleaf Power, and subsidiaries of Rio Energy. Justin is a member of the Millennium Challenge Corporation Advisory Council and a member of the Advisory Council for NASP-USAID Investment Partnership for “Mobilizing Institutional Investors to Develop Africa’s Infrastructure” or “MIDA.” He also serves as a Board Member for IGD (Initiative for Global Development) and is a member of the EMPEA Gender Parity Acceleration Working Group. Separately, Justin is taking part in Columbia University’s World Projects Initiative. Justin received a Bachelor of Science in Mechanical Engineering from Drexel University and a Master of Business Administration from LeBow College of Business at Drexel University. Victor Muñoz is an Operating Partner, responsible for the origination, analysis, structuring and execution of investments within Latin American region. He brings 26 years of experience to the firm. Victor is a member of the Valuation Committee, the Power Deal Team and the Mining Deal Team. 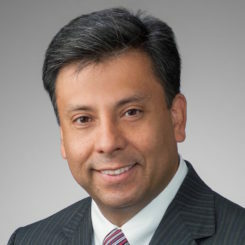 Prior to joining Denham, Victor was a Director at PSEG Global, a Manager at Enron North America and an Associate at Chase Securities. He currently serves on the Board of Directors of Mining Ventures Brasil Ltda., Stellar Mining, Santiago Metals and Rio Energy. He received a Bachelor of Science from Los Andes University in Colombia and a Master of Business Administration from Harvard Business School. Saurabh Anand is a Managing Director, responsible for origination, analysis, structuring, valuation and execution of investments for the Power Deal Team. He brings 14 years of principal investing experience in the global energy industry to the firm. Prior to joining Denham, Saurabh spent four years with GE Energy Financial Services focusing on private equity and structured financing transactions in the energy industry. In this role, he originated, evaluated and executed multiple power generation and oil and gas investments in the United States and AsiaPacific region. He currently serves on the Board of Directors of Nexif Energy, Jenner Renewables, Rio Energy and Greenleaf Power. Saurabh received a Bachelor of Engineering from Panjab University and a Post Graduate Diploma in Management from Indian Institute of Management Calcutta. Ricardo is a Vice President, responsible for financial analysis, origination, structuring, execution and monitoring of investments. He brings 7 years of experience to the firm and joined Denham Capital in 2019. Prior to joining Denham, Ricardo was an Associate at the Abu Dhabi Investment Authority and an Analyst at the International Finance Corporation based out of Hong Kong. Ricardo earned a Bachelor of Engineering from the National University of Colombia in Bogota D.C. and holds a Master’s degree in Infrastructure Project Management from the University of Hong Kong. William is an Associate, responsible for financial modeling, execution and monitoring of investments. He brings two years of experience and joined Denham in 2016. Prior to joining Denham, William was an analyst in the Power & Renewable Energy Investment Banking Group at Bank of America Merrill Lynch in New York. William received his Bachelor of Science in Finance and Bachelor of Science in Accounting from the University of Wisconsin – Eau Claire. Sandro is an Associate, responsible for financial modeling, execution and monitoring of investments. He brings two years of experience and joined Denham in 2017. Prior to joining Denham, Sandro was an analyst in the European Energy Group at Credit Suisse in London. Sandro received his Bachelor of Arts in Economics and Business from the University College London. Zue Leong is an Associate, responsible for financial modeling, execution and monitoring of investments. She brings three years of experience to the firm and joined Denham in 2018. Prior to joining Denham, Zue was an Analyst in the Power, Utilities & Infrastructure Investment Banking team at Citigroup in London. She holds a Master of Engineering in Biomedical Engineering from Imperial College London. Sabine Chalopin is the ESG Manager to Power Deal Team and is responsible for screening, managing and monitoring investments for environmental and social risks and opportunities. She brings 11 years of power experience to the firm. Prior to joining Denham, she was the ESG Manager at Armstrong Asset Management in Singapore where she implemented an Environmental and Social Management System and managed projects for environmental and social compliance in the Philippines, Thailand and Indonesia. Prior to Armstrong Asset Management, Sabine was with Kyoto Energy (Singapore) where she was responsible for business development. She holds an MSc in Environmental Technology from Imperial College London and a BCom in Business Studies from Edinburgh University. Ms. Dragan is an Analyst, responsible for performing research, analysis and financial modelling. She brings two years of experience to the firm and joined Denham in 2019. Prior to joining Denham, Daniela was a Corporate Finance Analyst at B.B.Energy in London. She received her Master and Bachelor of Science in Economics at London School of Economics.